Are you a bachelor or bachelorette who wants to spend the weekend in Belgrade? Belgrade is ready to greet you with classical activities to some more adventurous every bachelor and bachelorette weekend requires. Last year, while traveling back to Belgrade, I’ve got to see quite a strange sight at the airport customs queue. Several places behind me was standing a bunch of girls, all dressed in the same black t-shirts which had “Hannah’s crew” written all over them in golden glitter. But ok, that is not the strangest thing you’ve ever seen, right? But the fact that all girls had big curlers on their heads must be something you don’t see every day, right? I was really fascinated by these ladies and hoped like crazy that they are on the same flight as me. And they were! The minute I saw them getting ready to board my plane I had to ask them what is this all about. And they explained – we are going on a bachelorette weekend to Belgrade. They’ve had everything planned and preparations started already during the flight. The energy they’ve brought with themselves was super positive, entire plane joined their frenzy. So all I could do is wish them all the luck in fulfilling everything they’ve had on the list. And believe me, their list was a serious thing: cocktails on river bars, sightseeing, shopping, restaurants and night clubs. The only thing that could get in the way was their stamina because Belgrade could definitely offer everything planned. And after this amazing bride and her team I started noticing more and more groups of bachelorettes and bachelors visiting our town all throughout the year, looking to make this final adventure of “life without ball and chain” unforgettable. 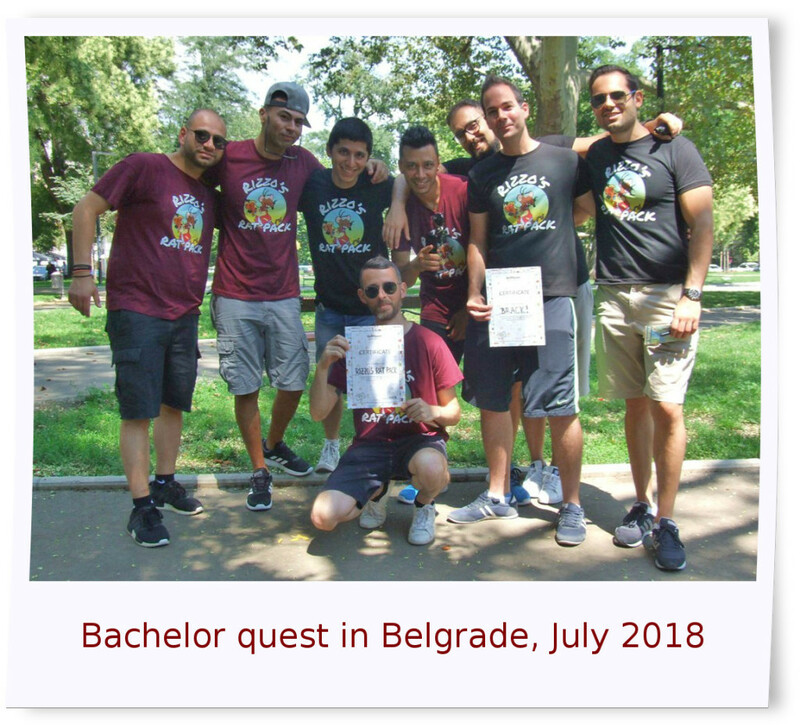 It turns out like quite an easy task as Belgrade is ready to greet them with classical activities every bachelor and bachelorette party requires to some more adventurous like balloon flight, treasure hunts, escape rooms, quests and many other fun outdoor happenings. In the end it all depends on the preferences of the lady and the man of the hour. 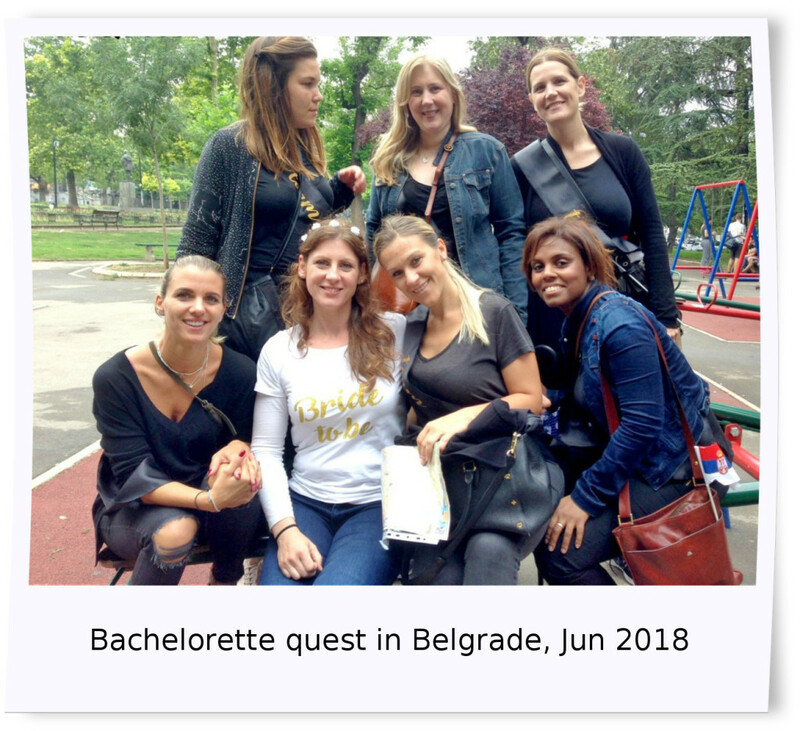 But nevertheless, no matter what they choose, Belgrade bachelor(ette) weekend adventure is just the right thing to set them in the right mood of discovering more about themselves and getting ready for their big day. So, what would you choose? Why treasure hunt is great option for team building?